Why am I Clenching my Jaw? It is very easy to imagine that your oral health especially the condition of your teeth ends with good diet and mouth cleaning habits. Unfortunately, there are other habits like teeth clenching which can easily cause destruction to your teeth. Teeth clenching, whether during the day or at night is a common condition affecting millions of both adults and children. So, why am I clenching my jaw? 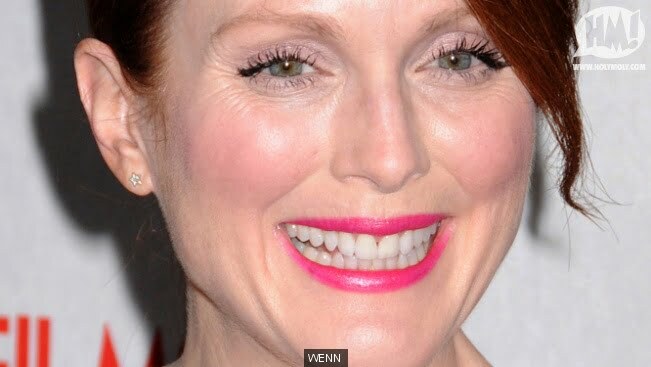 How do you define teeth clenching? Teeth clenching is one of the manifestations of a bigger problem known as bruxism. It’s unfortunate counterpart is teeth grinding and they could occur together or one can act alone. Teeth clenching is the static and sustained contact of both your sets of teeth using the jaw muscles responsible for closing the mouth. It is a para-function meaning it is dysfunctional and not the intended purpose of the jaws. Why is teeth clenching harmful top your dental health? Teeth clenching is a major problem because it wears out your chewing system. If you have ever asked yourself “why do my teeth hurt from clenching my jaw?”, the simple answer is because you are straining them. The human chewing system, known as the masticatory system is designed to work for just 45 minutes every day. This is usually enough time for you to have your three meals a day. However, teeth clenching whether done in the day or night can easily add up the minutes to even five hours which is more than 500% the duration the system is designed to be functioning at. This leads to overworking of the teeth and other parts of the system, making them weak and wearing them out. This leads to a number of disorders and can create an environment in which other problematic dental conditions thrive. • Sleep disorders such as hallucinations, talking while in sleep and apnea can all lead to the development of bruxism of which teeth clenching is part of. • Poor lifestyle habits like smoking, alcoholism along with the use of other recreational drugs also contribute to the development of teeth clenching as a side effect or to deal with the strain caused. • Some types of medication especially those belonging to the group which selectively inhibits the reuptake of serotonin (SSRI’s) largely used for the treatment of depression. These drugs like the recreational drugs and other substances above, cause teeth clenching as a side effect of their use. At times, it may be hard to know whether you are suffering from teeth clenching especially if it happens when you are asleep. • Morning headaches that are caused by the prolonged tension of the jaw muscles which are placed under a lot of strain. • Increased tooth sensitivity because the protective enamel layer of the teeth becomes gradually worn out and the nerves inside the teeth become exposed. • Pain in the area surrounding your ears when yawning or chewing food. It can also result in the development of sinus pain. • For those using dentures, they start having dysfunctions and you need to keep adjusting them or even replace them. • Chronic pain in the neck and surrounding area and when treated you have relief only for a short period. 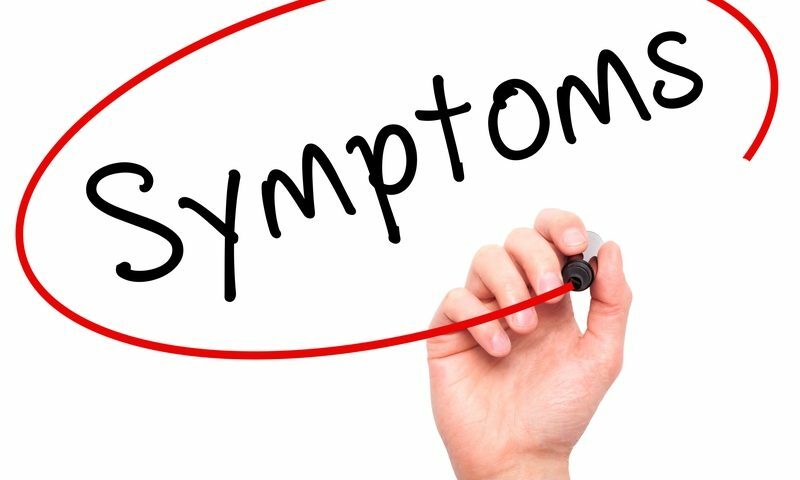 If you observe these symptoms it is better to consult your doctor to rule out any other possible causes and advise you on the best method to combat the condition depending on the severity of your case. • Cracked and crooked – the excessive pressure placed on the teeth leads to the development of small cracks in the teeth. These in gradually grow to bigger ones which cause cavities and allow the bacteria room to get inside the teeth. The teeth can also become misaligned because of the constant excessive pressure. • It can lead to adrenal stress syndrome since a dysfunctioning masticatory system has been shown to increase the cortisol levels in the blood. 1. Use of mouth guards and splints– this is effective when one is asleep and while they do not stop the clenching, they redistribute the force of the clenching preventing it being exerted on the teeth. 2. Avoid stress and anxiety wherever you can and where it is not possible to practice better ways of combating it like exercises and if necessary counseling. Ignoring your stressful moments makes the body look for self-preservation alternatives. 4. In cases of severe teeth clenching a muscle relaxant can be used to prevent the jaw muscles from clenching while asleep. 5. You can train yourself to be self-aware especially during the day. This can be done by keeping your lips together and teeth apart with the tongue in between. It’s not a guaranteed fix but if stress seems to be the main trigger for clenching and/or grinding it would make sense to take strides to lower your stress. How can we do this? You are at your best when you’re optimal and when are you optimal? When you’re working out, eating healthy, taking charge of your life. Keep your body healthy. Keep your mind healthy. Stay away from all the things that taste so glorious going down and don’t define yourself by your current state. You can be better. You will be better. Remember two things: We operate on momentum and we set our own standards. Raise your standards. Get going. Live your best life and see if this begins to ease your jaw tension and stop your bruxism all together. When the margin of your gum tissue starts pulling back, your teeth are exposed. This process is known as gum recession. It is not something that can be easily noticed since the process is gradual and the early symptoms are usually ignored. 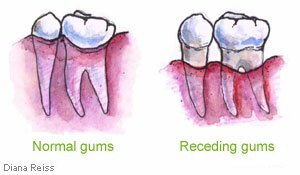 Gum recession is a serious dental condition which could lead to loss of teeth if left untreated. This is usually because the bone structure of teeth is damaged thus preventing teeth from being firmly held. If you have gum recession, you will be glad to know there are treatment methods available and steps you can take to prevent it from progressing. Brushing and flossing your teeth is mandatory. Failure to do these as required results in formation and accumulation of plaque which later turns to tartar. Brushing should be done gently. When done aggressively, it makes the enamel wear away thus leading to gum recession. This is the grinding of teeth. When a lot of force is exerted on teeth, the gums recede. As cool as these piercings look, they can cause damage. The piercings irritate the gum causing it to wear away gradually. How Can I Prevent Gum Recession? A mouth guard is a covering worn over the teeth. 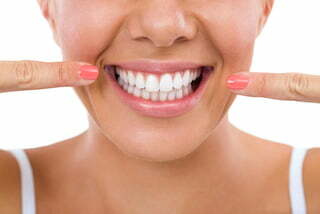 Its purpose is to protect your teeth from harm that may be caused by grinding or any other harmful thing. These guards come ready made and they can be easily found in various stores. 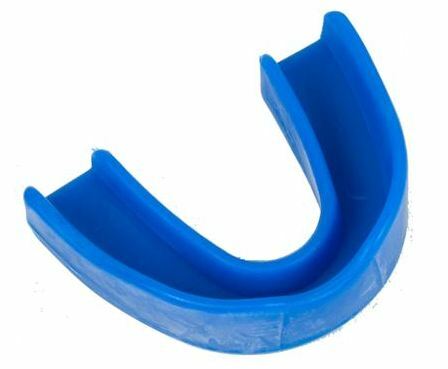 Many people opt for this type of mouth guards because they are cheap. In the long run, they are expensive due to the oral damage they can cause. Most of us have different dental structures and needs hence, a mouth guard may need to be adjusted to meet those needs. 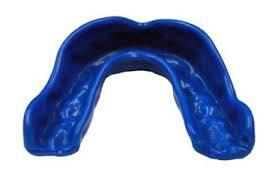 Stock mouth guards can rarely be adjusted and this makes it difficult for you to talk or breathe normally. They are also commonly found in various stores. The boil and bite mouth protector works by boiling it to soften it and then placing it in your mouth. 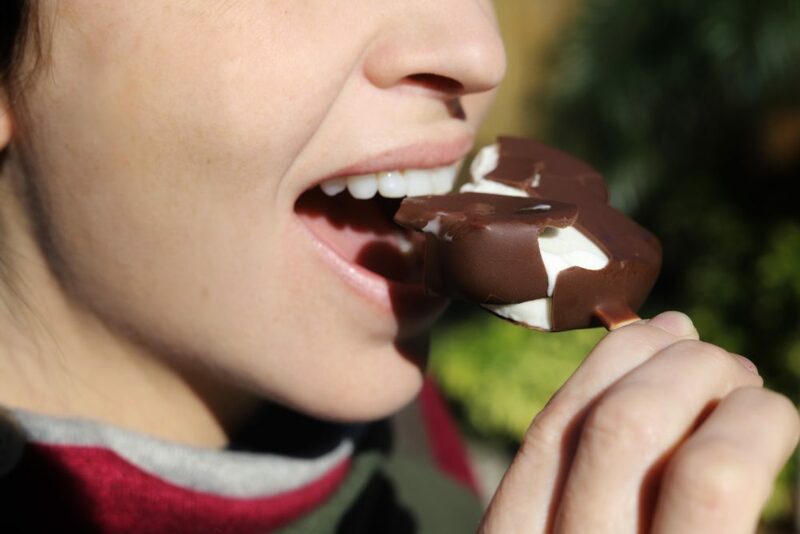 Once it is in your mouth, you can shape it using your finger or tongue by applying pressure around it. They provide more protection than stock mouth guards since their structure can be altered to fit your needs. These are the best mouth guards to use. The guards are usually designed by your dentist or available for order online and fitted in your mouth after being molded. Unlike stock mouth guards, custom guards are comfortable to wear and offer maximum protection. 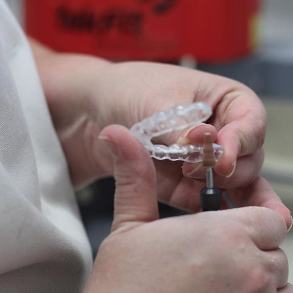 Some people avoid using custom guards due to their expensive nature but a person can now purchase custom dental night guards online bypassing the dentist and saving hundreds of dollars. It is suitable for mild cases of teeth grinding. They are made using soft material which makes it comfortable for you to wear it. It is made of soft material on the inside and hard material on the outside. This type of night guard lasts longer and is suitable for severe cases of teeth grinding. This is the hardest type of night guard and is suitable in cases of heavy teeth grinding. It can last up to 5 years. Brush your teeth gently preferably 3 times a day. Avoid being aggressive while bushing and also avoid brushing your teeth multiple times a day. This may make the enamel of your teeth wear off which results in gum recession. Something most people do wrong is brushing their teeth for 30 seconds and then rinse their mouths and go. Proper brushing should be done for about 2 minutes so that you can remove as much residue as possible from your teeth. If the toothbrush you are currently using is almost a year old, you need to throw it out immediately. Dentists recommend that you change your toothbrush after every 3 months of use. Yes, even if it still looks new, it may not be effective in removing plaque compared to new brushes. You should also change your brush each time you have a flu or cold to make sure the germs that stick to your toothbrush do not cause a re-infection. Periodontal disease needs to be treated as soon as possible to prevent further damage to your gums and bone tissues. The type of treatment you will require depends on how advanced the periodontal disease is. Mild cases of the disease will require deep cleaning to remove plaque. A laser may be used at times to remove tartar and plaque. It results in less inflammation, less bleeding, and less discomfort. In addition to this treatment method, antibiotics may be prescribed to kill the remaining bacteria and reduce the size of periodontal pockets. In severe cases, surgery is necessary. If deep cleaning and antibiotics do not work, surgery is unavoidable. In this case, the gums are lifted to remove tartar and they are sutured back so that they can be firm around the tooth. This procedure is known as flap surgery. Grafting is another procedure performed to regenerate tissue of the bone or gum which was lost due to the disease. The graft used can be either synthetic or natural. The type of graft used will depend on your situation since each case is different. You should always ask your dentist about the level of success of the graft he chooses to use. Tooth sensitivity is the simple term commonly used to refer to root sensitivity or dentin hypersensitivity. Having sensitive teeth means cold, hot, sweet, highly acidic drinks and foods or even breathing cold air will cause your teeth to feel painful or sensitive. This problem is very common but fortunately it is treatable. Tooth sensitivity develops when the enamel, which protects our teeth, becomes thinner or when our gums recede. This exposes dentin, which is the underlying surface-therefore weakening the protection that the gums and the enamel give to the root and tooth. Dentin, the material found in the inner tooth, is composed of tiny tubules which contain microscopic nerve endings. A hard outer coating of enamel covers the dentine in the crown section of the tooth. The dentine in the root of the tooth is protected by a layer of thin bony material called the cementum. Nerve irritation or dentin hypersensitivity is the result when dentin loses this protective coating of cementum or enamel. As a result the stimulated hypersensitive nerve endings become inflamed, painful and sensitive when exposed to cold, hot, sticky, acidic foods and drinks or even cold air making your teeth sensitive to hot and cold. •Toothbrush abrasion-refers to brushing teeth too hard, especially when using side to side motion. This leads to wearing away of the enamel particularly in the sections where teeth and gums meet. The newly exposed dentine becomes sensitive. •Dental erosion– this refers to degradation of the tooth enamel due to acid attacks from acidic drinks and food.The worn enamel leads to dentine exposure, resulting in teeth sensitivity. •Natural gum recession-this is when our gums recede or shrink back naturally, leaving the roots of the teeth exposed. The roots are therefore left with no protection, resulting in teeth sensitivity. 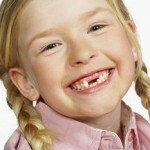 •A filling or cracked tooth-a cracked tooth is one which is broken. A crack may begin from the biting area of the tooth and continue downwards to the root. Severe temperatures, particularly cold may bring immense discomfort. •Tooth bleaching– There are people who briefly experience tooth sensitivity during or after the bleaching procedure. Tooth sensitivity can be reduced in several ways. •Reducing intake of highly acidic food and drinks will also prevent this problem. It’s only natural for most people to grind and clench their teeth once in a while. Occasional teeth clenching and grinding does not usually cause any lasting damage or harm. However, when teeth grinding occurs frequently, eventually the teeth can be damaged and other more serious oral health complications can arise. This teeth grinding disorder can sometimes be coupled with sleep apnea. Sleep Apnea and Teeth Grinding. What’s The Common Thread? The disorder “bruxism” is sometimes triggered when people experience periods of being partially awoken from their sleep. 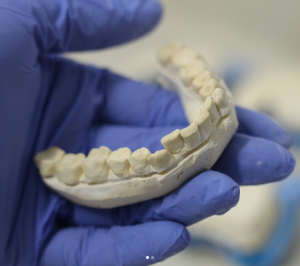 For that reason, bruxism is often associated with sleep disorders that engage in breathing pauses during sleep, extreme movements and snoring, which are symptoms linked to the sleep apnea disorder. According to an article written for CNN.com, sleep apnea is a condition that affects an estimated one in 15 Americans but often goes undetected. Likewise, bruxing or night teeth grinding statistics are roughly the same numbers. People who have sleep apnea repeatedly stop breathing during their sleep, in some cases, hundreds of times. 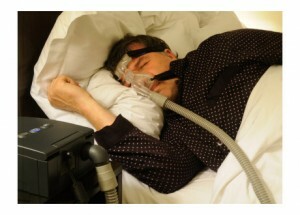 Individuals with untreated sleep-apnea are usually unaware they are suffering with the disorder. This is the same case with bruxism. Most people are completely unaware of their teeth grinding or clenching. 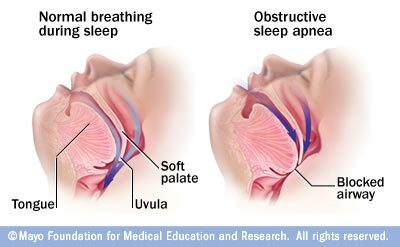 Sleep apnea is a bit more serious as it means the brain and the body may be deprived of oxygen, all while the individual is asleep. The most common form of the sleep apnea disorder is obstructive sleep apnea. This particular sleep disorder is caused by an inadvertent blockage of the mouth by the soft tissues in the rear of the tongue and the mouth collapsing during sleep. Evidence tells us that nighttime teeth grinding (otherwise known as bruxism) is a red flag for sleep apnea. Studies have shown people are more likely to grind their teeth while they’re asleep if they suffer from a sleep disorder, such as sleep apnea. You may be asking yourself, does having sleep apnea also make me grind my teeth? In recent years; studies have indicated that airway instability during sleep, such as sleep apnea significantly causes nighttime bruxism. This makes sense. As we fall asleep, a shift in muscle tone regulation occurs with the parts of the mouth that are responsible for the breathing airway at night. Your brain repositions how the tongue, jaw and soft palette all interact at the toward the read of the mouth’s airway. This determines the way you are able to breathe and sleep at night, thus, affecting your sleeping ability. As you sleep, the tongue in particular becomes less tense, naturally falling backwards towards the throat. This can lead to significant airway resistance or critical obstruction during sleep. Since the individual is sleeping, the only anticipated defense against this process is to continuously clench the teeth, i.e. grinding, to subsequently stimulate the muscles and soft tissues in the upper airway to hold the tongue in place and keep the airway more open. These credible clinical researches have also shown that treating the obstructive breathing issues during sleep leads to significant improvement or complete resolution of nocturnal bruxism in many cases. You certainly can’t die from grinding your teeth, but any breathing disorder can become life-threateningly serious. B: Treat the sleep apnea disorder, as you will have possibly removed your body’s impulse to grind in the first place. Keep in mind that if you grind or clench your teeth because of a separate reason (ex: stress) you may be able to resolve the sleep apnea but not the teeth grinding. In this case you will want to concentrate on tips to reduce your stress level. Directly treating sleep apnea does not guarantee that your bruxism disorder will stop though if you have been diagnosed with both disorders you should seek treatment for sleep apnea. This may help resolve your bruxing as well. 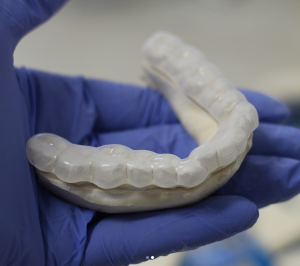 If you find you are still grinding/clenching and damaging your teeth you will need to wear a custom made dental night guard to prevent any further damage to your teeth. We now have almost 50 separate articles written & almost all are addressing questions that have been asked by real customers. 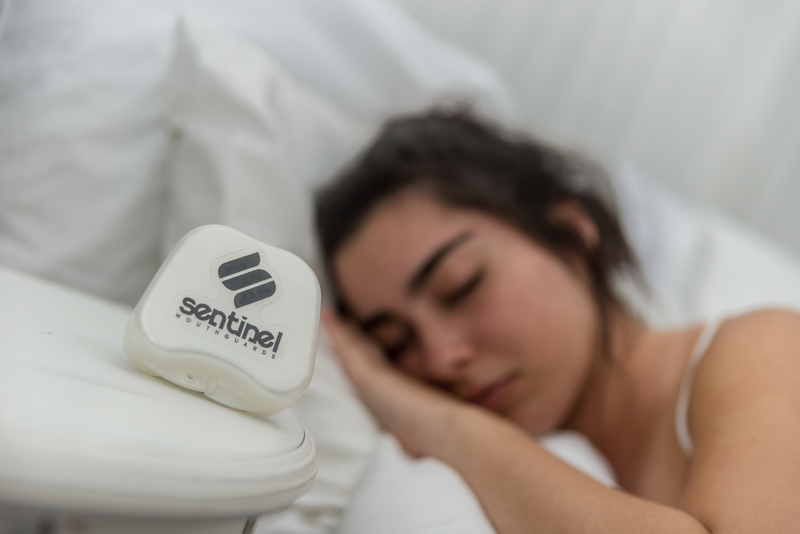 Take a look around our Sentinel Blog. If you have anything to add, questions or concerns please use the comments box below. We’d love to talk! What Age Can a Child Wear a Dental Night Guard? Can a Child Wear a Dental Night Guard? The short answer: Ask your dentist. Recommended use for children varies greatly. As parents we deal with miniature crisis’ all the time–scraped knees, growing pains, hunger pains, sick days and everything in between. These common issues have aided us in becoming pretty proficient in what to do when unexpected situations arise, but when faced with child teeth grinding, there seems to be a lack of clarity, understanding and call to action. Here we attempt to answer the most common questions regarding teeth grinding or jaw clenching in children under 12. What causes teeth grinding in children? As of today, dentists, academics and researchers alike still can’t fully agree on the reason we grind our teeth. It is generally agreed upon ,however, that stress & anxiety are contributing factors. Is there anything I can do to lower the chances of my child grinding his/her teeth? Minimize everyday stress. Plan ahead. Make lunches the night before school. Lay out clothes ahead of time. Get up on time in the morning. Understand the needs of your children and meet them. Parents! Get control of your own anxiety. Your kids are “mini-you’s”. Lead by example. Create a calm and soothing bedroom. Listen to your child and let them have a hand in decorating their own bedroom. Choose their favorite colors and consider low lighting. Exercise every day and healthy eating. Less sugar. Positive reinforcement instead of negative. Is there perhaps another reason my child is grinding (or clenching) his/her teeth? One of the more common possibilities that are being explored has to deal with the growth phases of a child’s teeth and jaw. 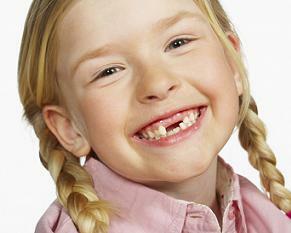 During the nascent stages of development, a child’s top and bottom set of teeth do not fit together comfortably. The instinctive response that some children have because of this fact is to grind their teeth to provide a respite from the discomfort that they may be experiencing. Some children tend to outgrow the habit of teeth grinding. 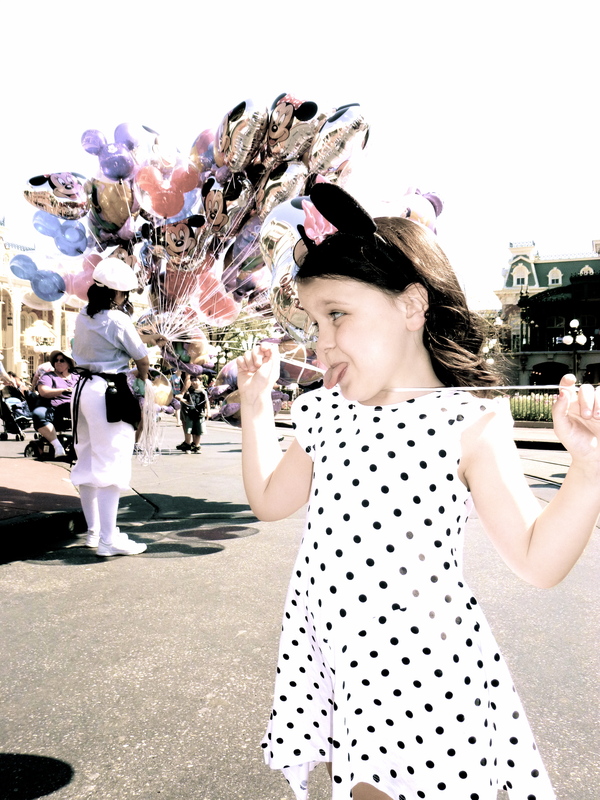 Other children may develop an attachment to the habit and carry it well into adulthood. Ok. So how do I stop his/her teeth grinding? You should know that there is no known cure for teeth grinding. Many children will outgrow the habit by age 12. Your first step is to schedule an appointment with your dentist. The dentist may suggest your child wear a custom night guard. There seems to be a lot of contradictory information as far as what age is acceptable for a child to wear a night guard to bed. Ask your dentist to see what he/she recommends. Is there a choking risk? There does not appear to be any choking risk from wearing a dental night guard. Being a parent, you would immediately want to acquire a clear cut solution to the teeth grinding challenges that your child is currently facing. The first thing that you should do is to schedule an appointment with your dentist. An initial consultation with an established dental practitioner may yield a few solutions for this specific occurrence. So, can a child wear a dental night guard? The most common solution that dentists may prescribe is to have your child use a dental night guard while he / she sleeps. The decision to employ a dental night guard can prevent your child from forming permanent damage from grinding his / her teeth. Remember: teeth don’t grow back. While a dental night guard may seem like an ideal solution for your child’s teeth grinding problems, there are still a few caveats that you must take into account. Some children may not feel comfortable using a mouth guard at night. The sense of discomfort that they experience could interfere with their sleeping patterns. Even if your child doesn’t have any issues with using a dental night guard, there are still a few things that you need to watch out for. 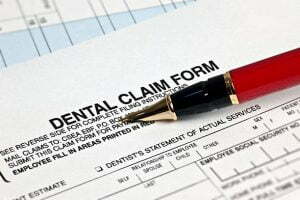 Once you spot that the form of the dental night guard has become irregular, stop using the device and acquire a replacement as soon as possible. Some children may experience oral irritation because of frequent utilization of a dental night guard. Before you have your child use the device in question, make sure that you get to check his / her gums for any mouth sores or other oral lesions. 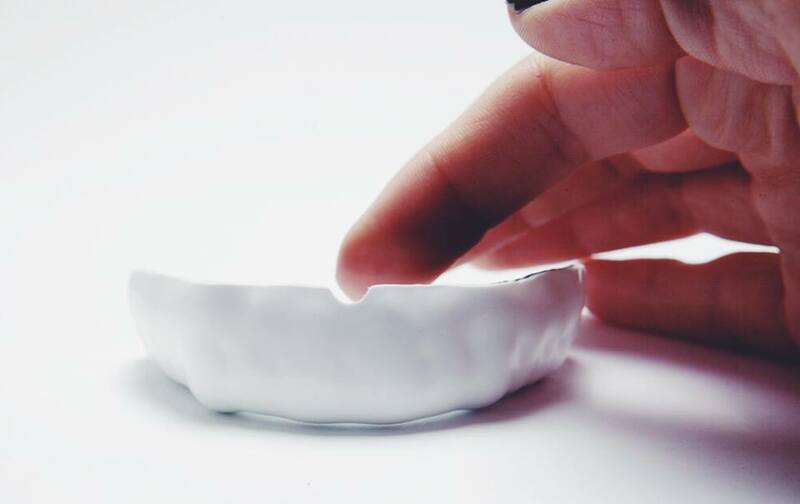 Given the nature of appliance, dental night guards tend to accumulate a considerable amount of bacteria over a period of time. You must be rigorous when it comes to sanitizing the dental night guard that your child uses on a daily basis. Over the course of using the night guard, make sure that you get to schedule regular oral exams with your child’s dentist in order to assess the progress that has been made or whether adjustments need to be executed. Final Thoughts: Can a Child Wear a Dental Night Guard? It is essential for you to acquire a dental night guard from a reputable dentist or online dental night guard lab. 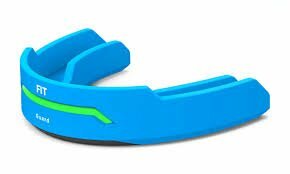 There are a variety of mouth guards that are available on the market and you may be tempted to acquire one but you run the risk of compromising your child’s safety. While going to a dentist may require you to keep up with a specific amount of cost, you can guarantee that your child will be able to use a well fitted dental night guard that addresses all of his / her needs and preferences. Flat Teeth and Chipping are common signs of long term teeth grinding and jaw clenching. When Glamour magazine ran an article last month about preventative aging & the benefits of wearing a night guard, many became enlightened to one of the sneakiest signs of aging. Teeth grinding and (as a result) teeth shortening. Sometimes we forget that our skin is just an envelope for our bones and muscles. If a person undergoes changes to the teeth, whether they have them removed (and replace with dentures) or if the teeth have become much shorter over time, it is common to notice sagging skin around the mouth and chin. Physically, teeth grinding can have some long lasting effects. After years of wearing the teeth down, the face can develop a noticeable sagging appearance that cannot be fixed with anything less than expensive cosmetic work. So why are my teeth flat? It’s no secret that teeth play a big role in the overall appearance of the face. The wearing down of teeth because of grinding and or clenching is a tell-tale sign of aging. Teeth that are too short age you. Other notable characteristics that can occur from teeth grinding are an enlarged jaw muscle (protrusion), and stress lines around the mouth. Stand in front of a mirror with your lips slightly apart in a relaxed position. If you relax your mouth and just leave it agape slightly, there should be between 1-3mm of tooth exposure. Do you see a little bit of your front teeth? If you do not, your teeth may be too short. This is not always a result of teeth grinding. This can simply be your natural dental anatomy. If you wish to have your teeth extended you can opt for direct bonding or porcelain veneers. A night guard acts as a preventative to the effects of teeth grinding and teeth aging. Think of it as putting your teeth in a perfectly fitting case each night before bed so that they remain safe and protected against well…yourself. Simply wearing a night guard at night will prevent your teeth from wearing down. 1 in 10 people grind their teeth at night. 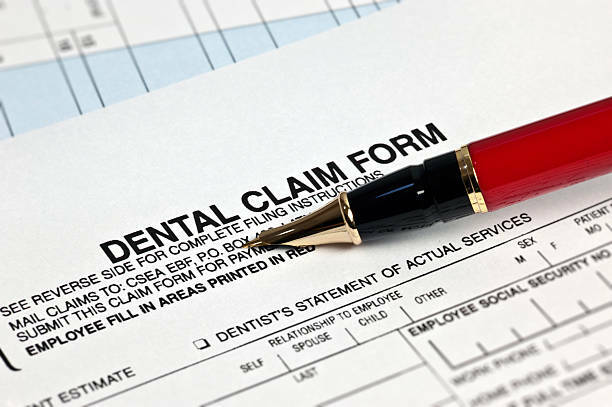 A custom made dental guard is far less expensive than restorative cosmetic work. Preserve your teeth & face the natural way. It’s just as important and routine as putting face moisturizer on at night to prevent dryness and excess wrinkles. You’ve Decided To Wear A Night Guard? Great! As you probably well know, wet and dark places are a great breeding ground for bacteria. Your night guard can go from a nice clear to yellow and smelly in a matter of months. Make sure you store your night guard in its original case. Clean with a soft toothbrush and a little toothpaste. Rinse thoroughly and store DRY. Dry is the secret to a clean long lasting night guard. You do not want water sitting in your guard night after night. Additionally, Efferdent makes a really great denture/retainer cleaner you can use once a week to preserve the life of your guard. Consumers will spend 290 billion dollars this year (globally) on anti-aging products. There is always a latest and greatest product that claims reverse aging results. We think the best way to keep that healthy young look can be achieved spending as little money as possible. Wearing a night guard has so many benefits! It prevents cracking and breaking of natural teeth and dental work. It will protect a new set of porcelain veneers, bonding, crowns & bridge work. If you wake up in the morning with jaw soreness, tension or pain this can be a sign that you’re either clenching your teeth at night or grinding them together. Have questions or you would like to add to this article? Please feel free to comment, share and/or like below!